This is where my company gets our stationery supply from. They have a wide range of stationery items and good customer service staff to assist in enquiries and order taking. Fast delivery too. They have widest range from desktop to pantry items with emphasis on variety, quality and efficiency. 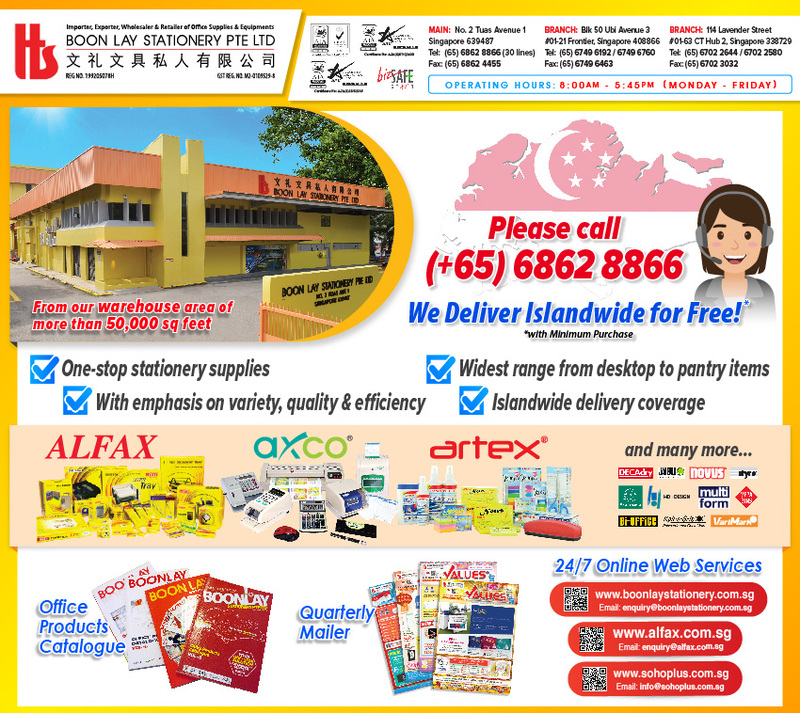 They also provide delivery coverage island wide for Importer, exporter, Wholesaler & Retailer of Office Stationery. One stop for all your stationary supply. They have all the stationery you need! Students especially should walk in here to view the items they have. Importers, exporters, wholesalers & retailers of office stationary. heard that they will be involved in the corporate stationery exhibition at marina bay sands tomorrow.